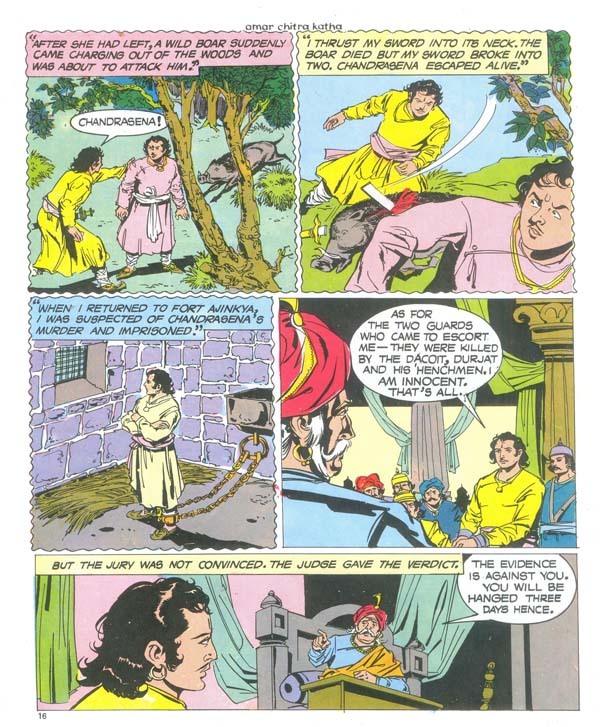 Veer Dhaval-The infant son of the chieftain of Fort Ajinkya, escapes a political blood-bath which claims the lives of both his parents. Whisked away by a quick-thinking nurse, he is raised by another local chieftain who is not aware of his identity. The child is named Veer Dhaval. Veer Dhaval’s life takes a twist when he falls in love with his benefactor’s daughter. But the other suitor for her hand is the wicked Chanda Varma, the murderer of his parents. 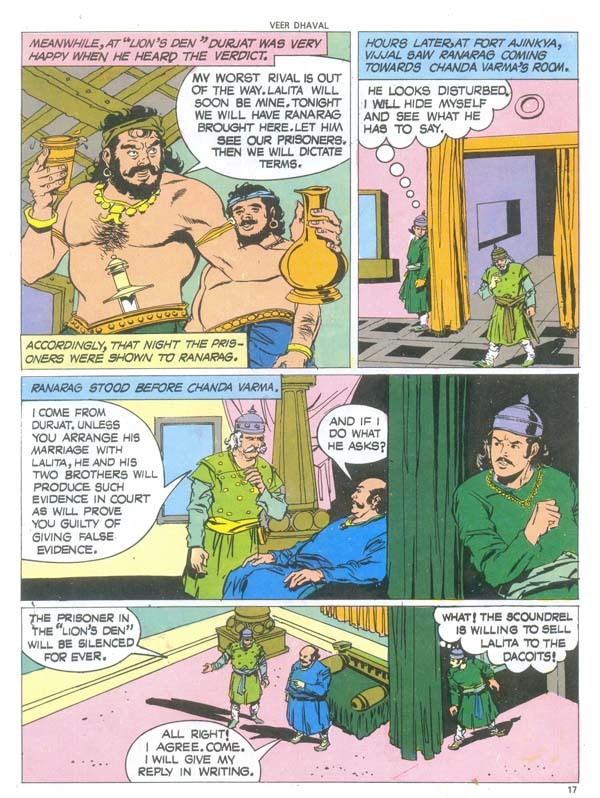 This Amar Chitra Katha has been adapted from Nath Madhav’s (1882 - 1928) famous Marathi novel, Veer Dhaval.